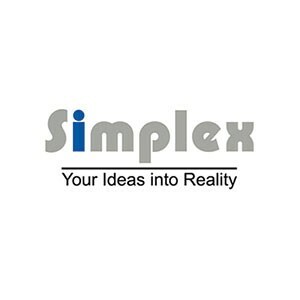 For over 25 years Simplex have been a strictly trade only supplier to the sign trade. With in house equipment including a 3m guillotine, 3m brake press, 3m rollers, CNC router, twin head cutting saw as well as full welding capabilities we have the ability to produce anything you may require in metal! From a single door slat to a 6m high curved, fret cut and illuminated monolith sign and anything in between! Our own Pole & Plank wayfinding system is designed with you, the signmaker, in mind for ease of fitting and competitively priced to help win you work. System 4 is our unique patented curved directory system with interlocking bands for an unparalleled look. Aluminium fascias and trays are one of our most popular products and can be supplied either flat or rolled face for your application of vinyl or router cut and illuminated. All our products are available in mill finish for you to paint or can be powder coated or wet sprayed to BS, RAL or Pantone colours. Whatever you choose you can rest assured all the products from our ISO 9001 accredited workshop are of only the very best quality to meet both yours and your customers expectations.